We all know the old phrase, “You can’t always believe what you see,” but sometimes, even what we think are facts can’t stand up to scrutiny. And even when a notion is proven wrong, it can continue to be accepted as true for some time. There are things that we believe are self-evident, even scientifically proven, which are nothing but figments of popular culture’s imagination. Sometimes, even the “authorities” get it wrong. And sometimes, they do it on purpose. Gluten sensitivity is a condition suffered by those with celiac disease, which causes gastrointestinal distress. In 2011, a study by Peter Gibson found that even some people without celiac disease can suffer similar symptoms upon ingesting gluten. This triggered the gluten-free craze that spawned a multibillion-dollar market. The problem was that Gibson wasn’t convinced it was as prevalent as advertisers would have us believe, so he tested it again. He tested 37 people who self-identified as gluten-sensitive, none of whom had celiac disease. Each subject went through a period of high-gluten, low-gluten, and no-gluten diets without being aware of which they were on at any time. The results were that every patient reported symptoms associated with gluten sensitivity throughout the entire trial. Gibson took into account that the subjects were paying more attention to their condition during the trials. 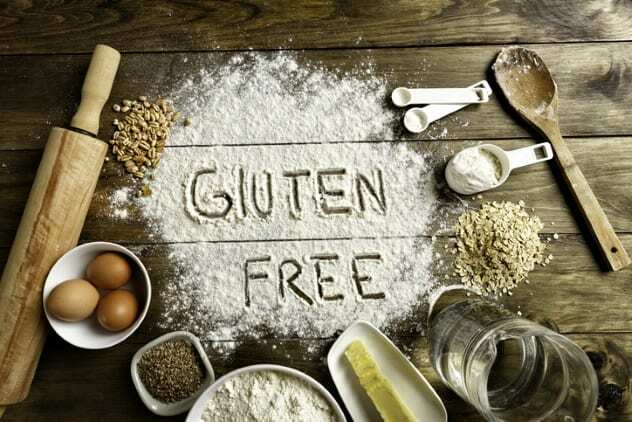 He also considered that the presence of gluten in foods is usually accompanied by other potential symptom triggers, yet that still would not account for the reports of symptoms found during the gluten-free period of the trials. In other words, the man who created the concept of non-celiac gluten sensitivity no longer believes it exists. “Pterodactyl” is the name we ascribe to the well-known flying dinosaur from popular imagination. The problem is that a dinosaur named “pterodactyl” only existed for about 30 years. The “father of paleontology,” Georges Cuvier, named the winged reptile “pterodactyl” after its long finger that stretched into a wing. After his find, however, paleontologists started discovering many more “pterodactyls” that varied more and more widely in their features—too widely for a single species to account for such diversity. The classification “dactyl” was meant to describe these dinosaurs, but it couldn’t hold the abundance of new finds. A new, more general classification of “pterosaur” was created that better described them. Further research found something even more interesting about pterosaurs—that they were not dinosaurs at all but a type of flying reptile that existed alongside them. This was due mostly to when paleontologists took a closer look at the term “dinosaur” and defined what it really meant. Pterosaurs were reclassified into a group on the dinosaurs’ family tree, but not quite close enough to be considered dinosaurs themselves. 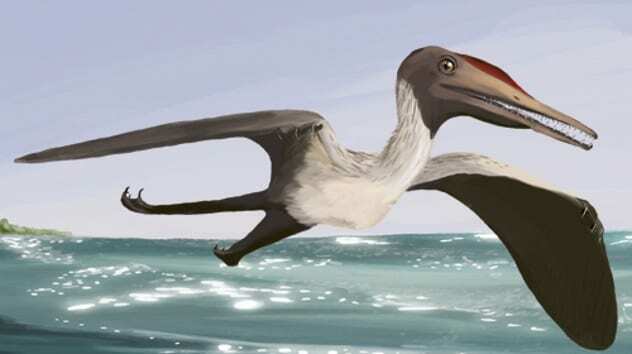 Pterodactylus antiquus, the flying reptile that could be pinned down as what the term “pterodactyl” is meant to represent, is, in fact, now the only species of its genus. 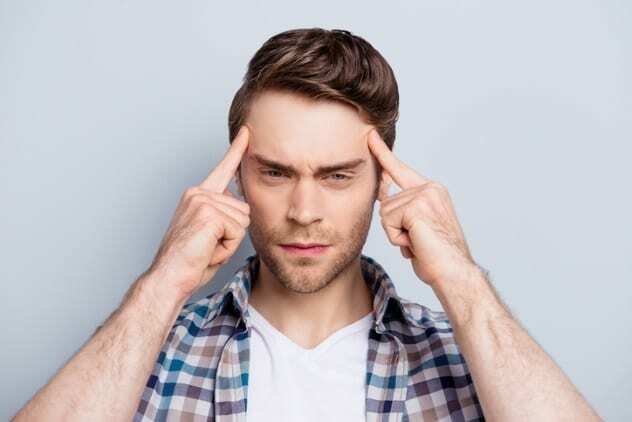 The idea of certain people having a photographic memory, or the ability to perfectly recall a piece of visual information from their memory, has been around for a long time. Whenever it has been put to scientific examination, however, it has either failed miserably or failed to be replicated. One of the most famous photographic memory studies that “proved” its existence was done by a scientist who soon married his subject afterward and never attempted to replicate the test. Other studies of photographic memory have likewise either failed to confirm its existence or failed to replicate their initial results. The closest thing to photographic memory is called an eidetic memory, but unlike popular culture icons would have us believe, it is not some lesser incarnation of perfect visual memory. An eidetic image is a kind of mental picture that remains in the mind’s eye for a short length of time. Somewhere between two and 15 percent of children actually possess this kind of memory, but its prevalence diminishes with age. Even then, those with eidetic memories do not have anything close to perfect recall. They might believe they do, but it is only their mind filling in the gaps. The only instances of photographic-like memories were autistic savants, but even while their memories were far beyond most people, they still did not have the absolute perfect recall associated with the condition. The existence of a substance used for decades in chemistry calculations is now being challenged, potentially calling into questions a large swath of research that relied on it. 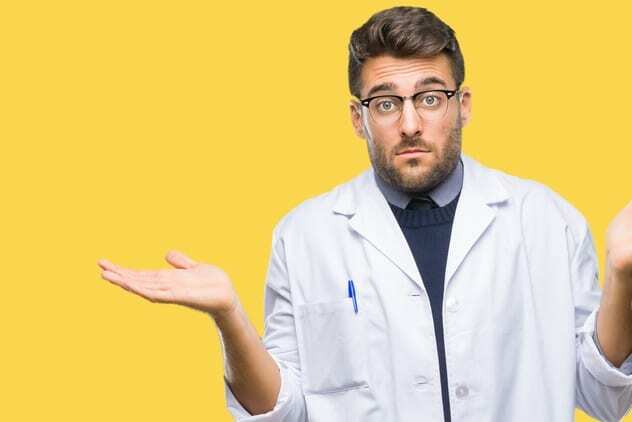 Scientists at the University of Western Australia say that there is no evidence that sulfide ions, as dissolved in a aqueous solution, do, in fact, exist. They discovered (or maybe “undiscovered?”) this while they were doing research on metal sulfides. Sulfide ions drew their attention because they failed to even detect them as expected. Older spectroscopic equipment was not sensitive enough to pick up the theoretical substance, so older chemistry simply relied on predictions of its presence from calculations. When researchers never detected it, they still assumed it was present, but only in quantities too small to detect. The UWA researchers call that much assuming from the scientific community “laziness” and “bad practice.” Furthermore, this is not even the first time such an experiment has been performed. Another experiment done in 1983 used the same procedures to reach the same conclusion, but was largely ignored by a presumably “lazy” scientific community. In 1983, scientists found the bone fragments of a new species of penguin on an island off the coast of Tasmania. They believed the “Hunter Island penguin” was a species of penguin that went extinct about 800 years ago. Nevertheless, the true identity of the penguin and what place it occupied in the fossil record remained somewhat of a controversy until the advent of DNA testing. Scientists tested the fragments of bones that made up the previously unknown species of penguin. Their findings flipped the cold case upside down. They extracted some DNA from the degraded bones and then compared them to a catalog of known penguin DNA. They had hits from three separate penguin species, all of which are still very much alive. 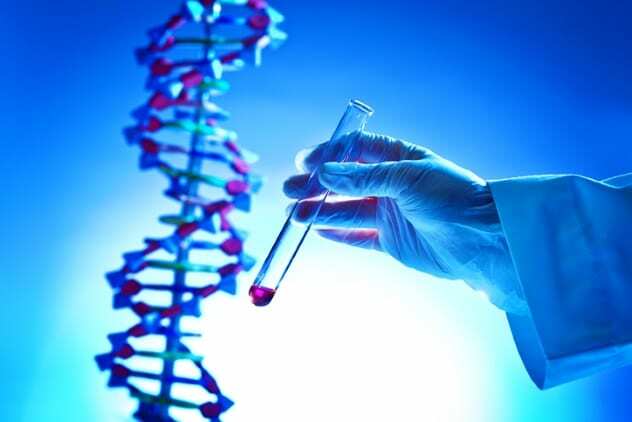 Modern DNA testing has led to many discoveries and reevaluations of varying species. In this case, it meant that the penguin assumed to be a separate species did not, in fact, exist. It’s not quite as exciting as finding an original species, but it is still shedding light on the past. It proved that the three types of penguins had all lived on the same island at some point and that their remains got mixed together throughout the years. Perhaps they even lived alongside each other. In February 2018, a picture of a beautiful dark-skinned model started garnering attention on Instagram after it was reposted by Fenty Beauty, Rhianna’s makeup brand. The striking photo of “Shudu” made people interested in the presumably African model. But by March, Shudu was getting attention for something other than her looks: It was discovered that she wasn’t human. She was the product of Cameron-James Wilson, a fashion photographer who created her from a 3-D digital art program. While Shudu was first praised for breaking into the notoriously undiverse modeling industry where black women are underrepresented, when it was discovered that she was only a fictional character created by a British white male, the praise quickly turned into fierce criticism. Wilson was accused of racism, profiting off a white male fantasy, and denying real black models jobs that might be taken by his digital creation. Although the exposure Wilson has gotten from his creation is undeniable, he has yet to actually receive any direct profit from Shudu. He has so far made no deals involving her representing any brands (though he does intend to in the future). Regarding jobs, he says that 3-D modeling is a minute section of the fashion industry and will not take away jobs. Even if it does grow bigger, jobs will be created to make the digital models, albeit in very different fields than his critics are concerned with. For better or worse, it seems that Shudu and other digital models are here to stay. The idea that some people are “multitaskers” and have the ability to do several things at once is actually just a notion that popular culture invented. If someone is writing while engaging in a conversation, for example, they are not really doing both activities at the same time, just rapidly switching between them. 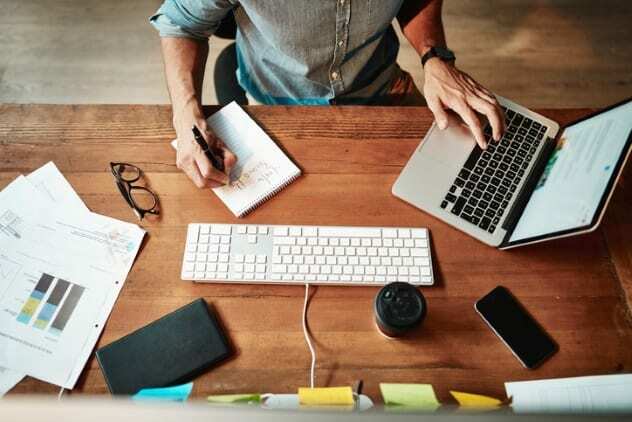 To say that multitasking doesn’t exist may just sound like splitting hairs, but research shows that the brain simply cannot do two similar activities at once, which makes multitasking a bad idea if you want to be productive. Engaging in “multitasking” does not devote enough cognitive resources to either task. This equates to lower productivity, since neither task is receiving adequate attention. One study even found that those who identify as chronic multitaskers have the worst performance of anyone. They make the most mistakes, remember less, and take longer to complete activities. But while people who consider themselves multitaskers are, in fact, just rapidly switching between two things, that is not to say that true multitasking does not exist. It’s just not what most people think it is. Listening to wordless music and studying, for example, are completely compatible multitasking behaviors because they are processed in different parts of the brain. Add lyrics to the music, however, and suddenly Beyonce is actually interfering with your English homework because your brain is using the same area to process the language of both activities. Oobah Butler used to write fake reviews for restaurants, and his experiences seeing restaurateurs profit from his deceptive reviews stuck with him even after he moved into professional writing. Eventually, he wanted to see how far he could carry the deception by creating a fake restaurant of his own on TripAdvisor and then seeing how popular it would become. Butler set up a fake website that had the physical address of his private shed. To accept calls for reservations, he used a disposable phone. A few delicious-looking photos (with ingredients that didn’t include actual food) were posted, and “The Shed at Dulwich” was in business. When it received requests for reservations, the imaginary restaurant was always fully booked, yet the requests kept coming, and the restaurant quickly climbed through TripAdvisor’s ranks. Eventually, it became the top-rated restaurant in London. By then, Butler was getting calls from companies wanting to work with the Shed. He was ever-ready with an excuse to not actually meet any representatives, but eventually, TripAdvisor itself requested more information about his fictional restaurant. Since the jig was up, he came clean—but not before setting up a dining space in his backyard and actually taking requests for reservations. Guests arrived to microwaved food and lawn chairs but did not actually pay for anything since they were told, somewhat truthfully, that they were participating in a documentary. Butler documented the entire deception from beginning to end. The idea of learning styles has been ingrained into the education system for years. Recent studies, however, have failed to provide evidence to show that learning styles either actually exist or have any effect on learning. In fact, many have shown the opposite. One study showed that students who categorized themselves as auditory or visual learners did no better on memorizing words when presented with their preferred style of learning than others. Another failed to show evidence of learners performing better on comprehension tests when material was presented in their preferred learning style. The idea of learning styles is rooted in the idea that when a student is given material in their brain’s learning style, their performance will be better. While the researchers who found otherwise now refute that assumption, they do not refute that there are indeed learning preferences. So while the method of presenting new material may not have a direct effect on student performance, students still prefer to learn in certain modes. This means that teachers might not want to abandon their visual and kinesthetic lessons in favor of boring lectures just yet. There are still certain ways that students like to learn, even if the method isn’t proven to affect performance. Despite reference material like encyclopedias, dictionaries, and maps being considered authoritative, some are intentionally inaccurate. Fictional entries are imaginary or inaccurate entries that are purposely constructed to alert the publishing company to plagiarism, should they be copied. There have been several high-profile fictional entries throughout the years. The 1975 edition of the New Columbia Encyclopedia has an entry about Lillian Virginia Mountweazel. Mountweazel was a fountain designer who switched careers to become a mailbox photographer. She died young in a violent explosion while doing work for a magazine called Combustibles. Mountweazel’s explosive demise, however, was fortunately a work of fiction. The encyclopedia’s editor-in-chief said it’s a tradition to insert a false entry so that any reproduction can be traced back to the original. It later became known that the New Oxford American Dictionary had a fictitious entry somewhere in the “e’s.” Interestingly, an investigation was done in order to ferret out the fake. Lexicographers were sent the suspected words, and the majority decided that “esquivalience” was the fraud. Their theory was soon confirmed by the editor, who said that the word was chosen as an inside joke. The fake would mean the opposite of “working really hard,” which the staff had been doing to compile the dictionary. Plagiarizing the word, after all, would mean that any fraudster would be doing the opposite of hard work by merely copying and pasting. Mike lives on the East Coast. He does in fact exist. 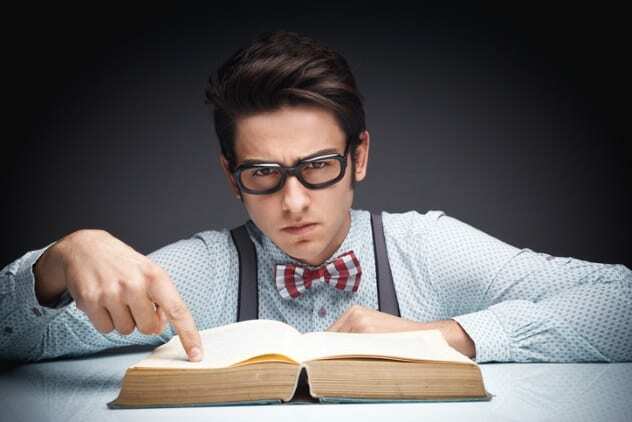 Read more about what you only think you know on 10 Glaring Ways That The History Books Got It Wrong and 10 Lies Taught To Us In School.